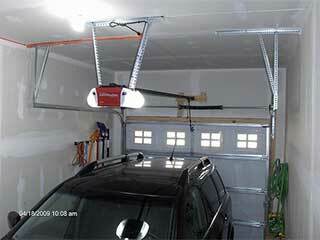 Garage door openers can always be improved in a wide variety of ways. Here we want to talk about some of the most attractive upgrades that can be applied to your current electric garage door opener. Our team can recommend which ones you may want to consider, and install them for you. If you think your drive system is in need of some improvement, it's hard to beat the quiet functionality and smooth working nature of a new belt drive. They are often incredibly quiet and create far less noise than chain drives, although it is common for them to cost a little more. We can ensure the drive is perfectly fitted to your system. Having the part expertly installed is one of the best ways to ensure it has a greater chance of avoiding a lot of problems in the future. Tired of losing your garage remote or having to use your clicker in order to open or close your door? Have a smart drive installed instead so that you'll be able to control your door with your mobile phone or a tablet. See important stats, operate the door from anywhere with an internet connection and keep your small children from being able to use it without your permission. The other advantage a smart drive can offer you is the fact that you'll be able to track how your door's actions throughout the day. Keep tabs on your own personal usage and that of those within your home. As a complex electro-mechanical unit, your garage door opener can suffer from a variety of different issues. Our technicians can help you when that happens. From replacing worn out motor gears to repairing fried parts of the circuit board, you can count on us for anything. Get in touch with our experts at Garage Door Repair Huntington Station today if you're interested in making changes to your current opener setup. We can help with repairing these units when something goes wrong, as well as install new ones and perform regular safety sensors and motor maintenance. Call us today.